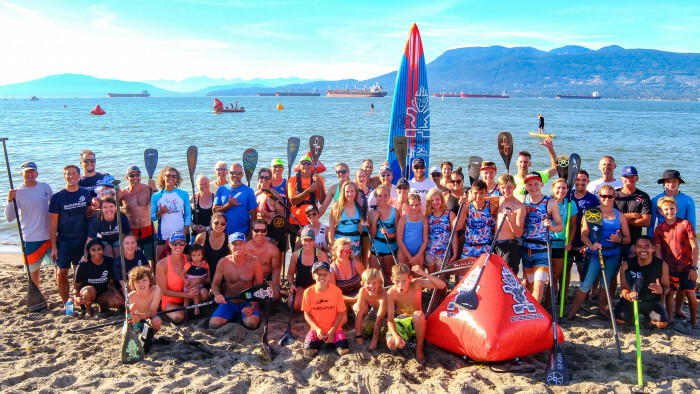 Get ready for some fun,action packed stand up paddle racing on the beautiful ocean beaches in picturesque Vancouver, British Columbia, Canada. Challenge yourself against the top riders in the 5km distance race, 2km course race and sprints. Categories are Open, youth (U17) and a mens’ 50+ category.Watch all the up and coming young stars in the kids race.. The fun 3 person relay is the last event before the BBQ, awards and music.You can do one or all the events. 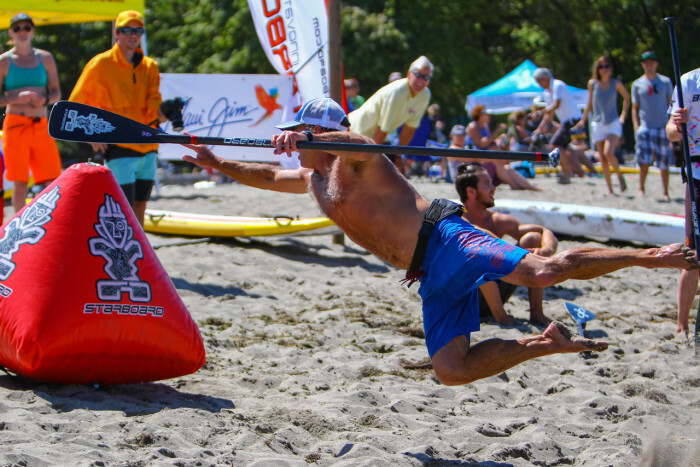 The Overall Champion (men, masters and women (14′ & under), , youth(12'6"and under ) of the Vancouver SUP Challenge is the combined top placings of the distance, course and sprints(tiebreaker), they must also compete in the relay.Prize money is in the sprints, overall and mixed relay! The BBQ, awards and live music will be awesome and you will meet someone cool you did not know. Choose which events you would like to participate in on the next page. 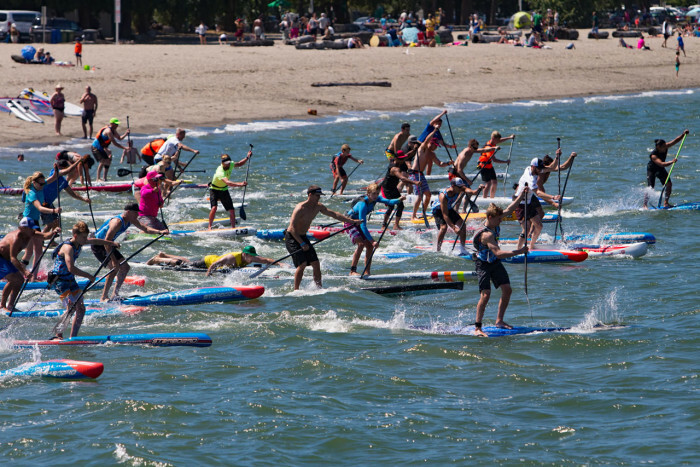 Note: Event participants are required to wear PFD/Lifejacket. Overall Champion: Men,Masters and Women(14ft and under)Youth(12'6)is the combination of your best placing in 5km distance,2km course and sprint races along with relay participation.SPRINT race is the tiebreaker!! Relay organized Race day.Prize money in sprints, overall and mixed relay!